We are very pleased to confirm that planning permission has been granted for our site in Goldhurst Terrace, London NW6. The grant of planning will allow the demolition of the existing 1960’s block of 6 flats and the construction of a new luxury block of 11 apartments totalling 12,007 sqft GIA. The apartments range in size from 40sqm to 132sqm and all have private outside gardens/terraces and are served by an elevator to all floors. 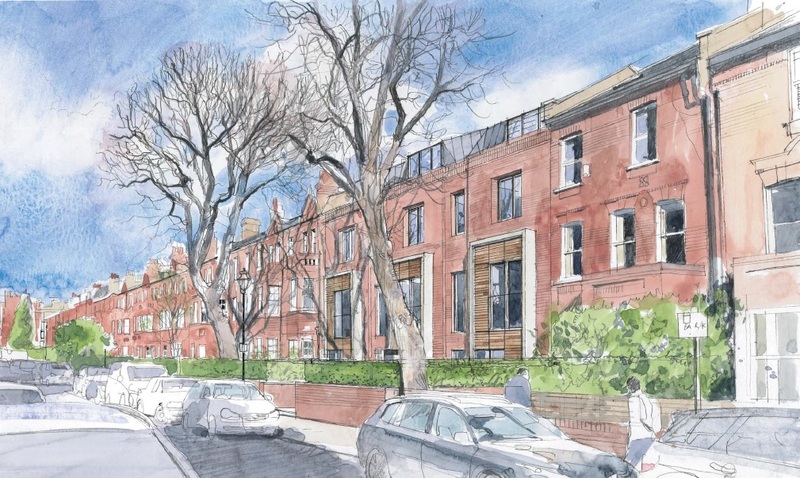 We are sure as usual this scheme will set a new precedent for unique bespoke luxury apartments in the South Hampstead area. Commencing works on site in March/April 2018.